Learn to Bend so You Don’t Break. You control the thoughts that you think and the things that you feel. This control is true personal power! ★ A key component of this is the daily application of self-discipline. The more you apply it the greater your self-respect, self-esteem, and self-confidence. This is a challenging transformational “active” meditation best undertaken at the start of each new year (or during stressful times). 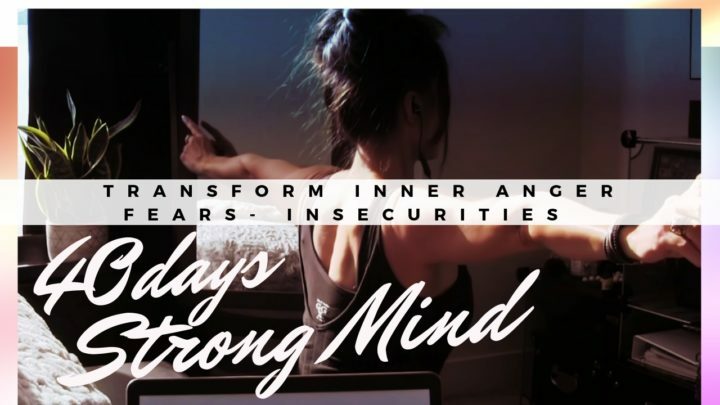 If you have some inner anger going on, are quick to rise to anger, have fears, insecurities or blockages or maybe you are over consuming, over-escaping, over scrolling, over Netflixing or even over-training (another form of escapism). VIDEO: Get Back on the Fit Track and Fast! If you have overindulged on calorie-rich food, sweet treats or alcohol during the holidays (or any other time/s for that matter) then these two key fit tips are for you!